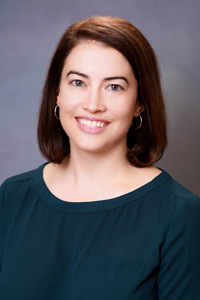 Marissa is a board certified physician assistant and joined Pediatric Associates of Gresham in 2012. She received her bachelor’s degree in Life Sciences from Kansas State University in Manhattan, KS. She completed her Master of Physician Assistant Studies (MPAS) from the University of Colorado Children’s Health Alliance/Physician Assistant Program (CHA/PA). Her hobbies include coaching gymnastics, scrapbooking, hiking, and traveling.